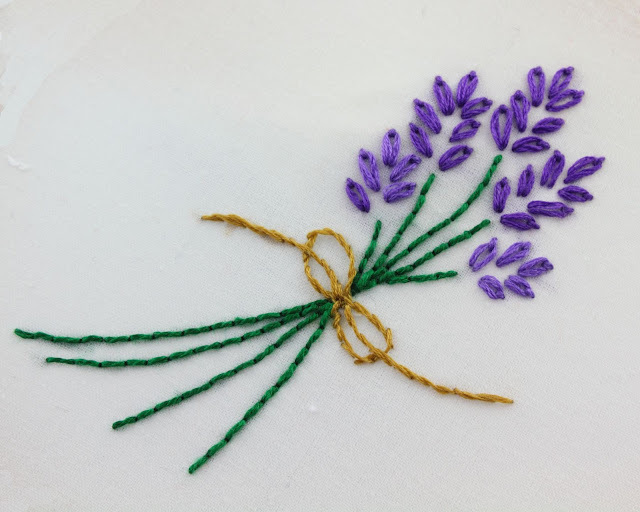 I just finished embroidering this beautiful herb wreath motif. 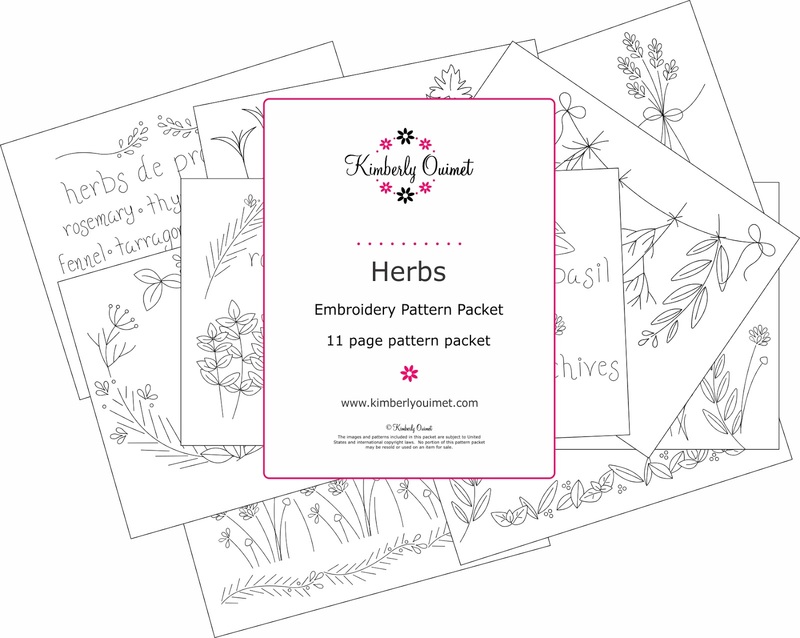 This is from my new pattern set Herbs. You may remember my work in progress post on this project. Here is all the information on the stitches I used. Check the end of the post for all the floss color information. Time for another 100 Stitches Plus post. This time, I am learning the Swedish Split Stitch. 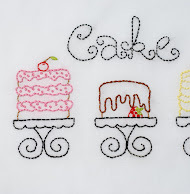 I found the instructions for this stitch in Embroidery Stitches by Mary Webb. 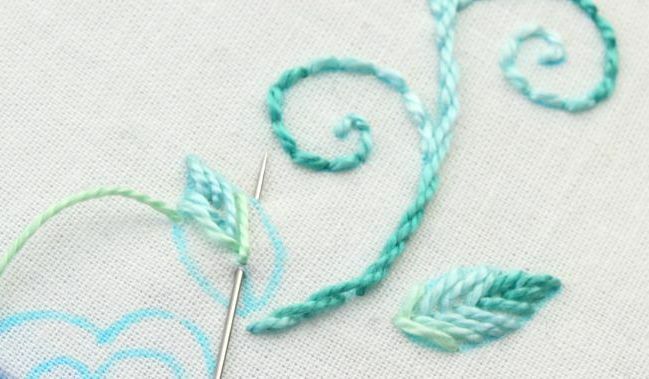 This stitch uses two different colored threads - threaded into the needle together! 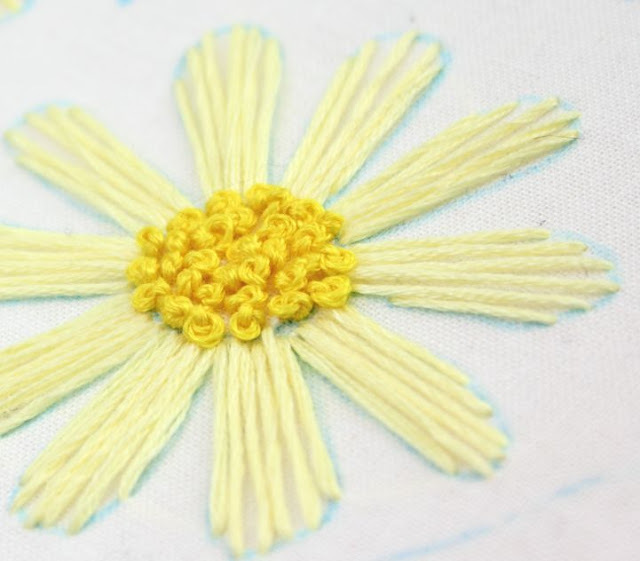 and pull all the way through forming a long Straight Stitch. Repeat these steps to make a row! 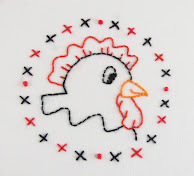 I have a new hand embroidery pattern available. This one is all about herbs. There are 14 different herbs highlighted. 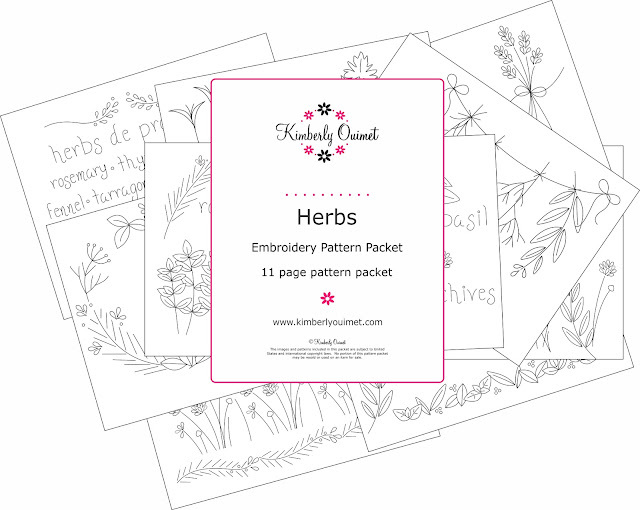 I think this set is going to provide for a lot of beautiful embroidery projects!! I have a new project to share. 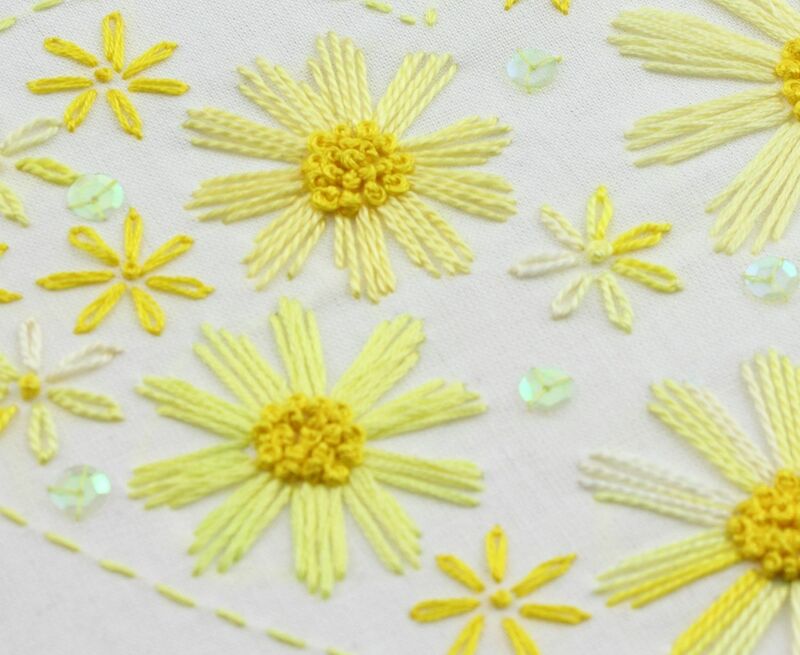 I am embroidering this flower border from my Flower Fancy embroidery pattern. I am doing most of the stitching with variegated color perle cotton floss. I love embroidering with this floss, the color variation along the stitching line adds so much interest!